Round grain rice is well known and widely used in japanese cuisine to prepare various types of sushi. 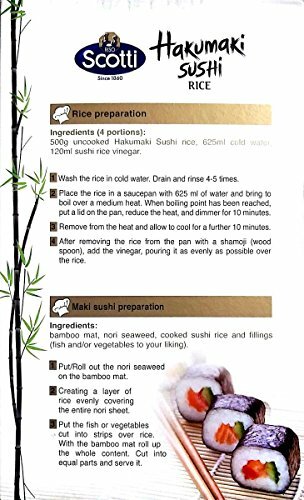 The moist grains stick together when cooked to create the perfect consistency for delicious sushi. 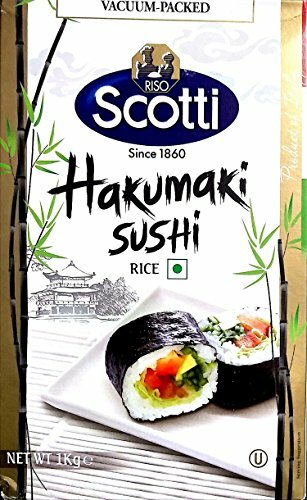 Established in 1860 Riso Scotti has become a leader in the field of specialist rice cultivation using the latest technology in both of its research and manufacturing facilities. For more than 150 years we put our passion and experience in this extraordinary cereal. 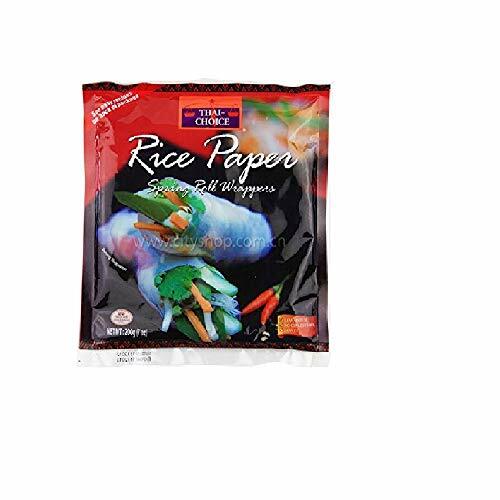 Combining respect for rice fields and their ancient origins with technology innovations to meet market demands allows Riso Scotti to produce these delicious and fine quality products. Riso Scotti is proud to be made up of a team �engaged in developing new projects and products in order to spread our passion for rice. Vacuum-packed, Kosher Package Type Box Recycling Information Packing - Recyclable Other Information Full Product Name: Round Grain Rice Storage: Store in a cool and dry place Preparation and Usage Rice preparation Ingredients (4 portions): 500g uncooked Hakumaki Sushi rice, 625ml cold water, 120ml sushi rice vinegar. 1 Wash the rice in cold water. Drain and rinse 4-5 times. 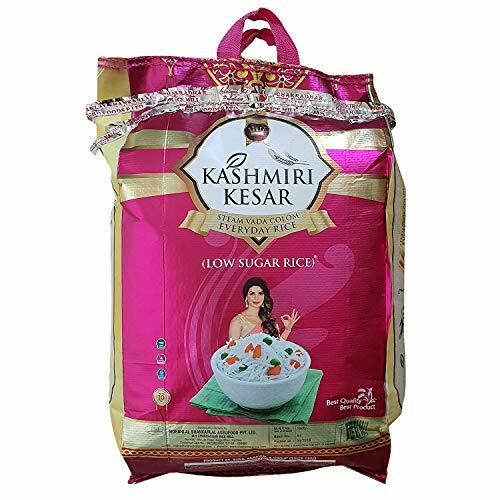 2 Place the rice in a saucepan with 625 ml of water and bring to boil over a medium heat. When boiling point has been reached, put a lid on the pan, reduce the heat, and dimmer for 10 minutes. 3 Remove from the heat and allow to cool for a further 10 minutes. 4 After removing the rice from the pan with a shamoji (wood spoon), add the vinegar, pouring it as evenly as possible over the rice. Maki sushi preparation Ingredients: bamboo mat, nori seaweed, cooked sushi rice and fillings (fish and/or vegetables to your liking). 1 Put/Roll out the nori seaweed on the bamboo mat. 2 Creating a layer of rice evenly covering the entire nori sheet. 3 Put the fish or vegetables cut into strips over rice. With the bamboo mat roll up the whole content. Cut into equal parts and serve it.